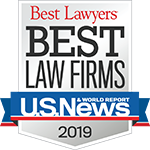 Long Beach Maritime Lawyer | LMAW, P.A. Founded in 1911, the Port of Long Beach is known as the premier gateway for trade between the U.S. and Asia. Every year, billions of dollars are generated by the port and over a million jobs nationally stem from port-related trade. Some of the top imports include furniture, clothes and electronics, while some of the top exports leaving the port include waste paper, chemicals and food. Still, the Port of Long Beach is not only open for business purposes — it also welcomes those looking to enjoy a little leisure and pleasure as well. Located 23 miles from Los Angeles International Airport, the port is open year-round for vacationers to enjoy cruises spanning from 3 to 14 nights. In fact, most Carnival Cruise Line ships arrive and depart from Long Beach, as the city is home to the Carnival Corporation’s Long Beach Cruise terminal. The cruises leaving from Long Beach tend to be quite popular among the locals, but it is also a good option for individuals interested in cruising to the Mexican Riviera. If a maritime accident occurs while you are on vacation or performing your job duties, it is important for injured victims to obtain the most current and accurate information possible from a maritime attorney who is knowledgeable about the ever-changing rules and laws that govern such situations. When searching for a lawyer to handle your case, you will undoubtedly stumble upon a plethora of choices. However, maritime law is quite complex and not every attorney who practices law is prepared to handle such cases with the skill and knowledge necessary. The attorneys at Lipcon, Margulies, Alsina & Winkleman, P.A. have extensive experience in maritime and admiralty law and a proven track record of success. Our attorneys not only talk about the law, but we have also helped shape the laws, particularly as they relate to protecting the rights of both crew members and passengers onboard vessels. Regardless of whether you were in a boating accident or an incident occurred during a shore excursion, working with an attorney can prove to be invaluable with respect to obtaining the just compensation to which you may be entitled. Accidents, wherever they occur, can be devastating and traumatizing for everyone involved. Still, if you were a passenger on a huge cruise ship or a much smaller vessel, and you sustained injuries while onboard, you are entitled to certain protections under the law. Passengers commonly face a number of risks while onboard vessels, to include the risk of illness from food poisoning or some other airborne sickness or head and/or spine injuries from slipping and falling on a wet deck. Boats and ships are often limited with regard to providing various medical options and assistance for the injured/sick, and unfortunately, passengers often “sign away” certain rights when they purchase their tickets. Nevertheless, all is not lost. The lawyers at Lipcon, Margulies, Alsina & Winkleman, P.A. can help you understand the fine print on those cruise tickets and assist you with ensuring your rights are properly preserved. If you have been hurt or have lost a loved one during a maritime incident, contact an attorney with Lipcon, Margulies, Alsina & Winkleman, P.A. today by calling (877) 233-1238 or use our online form.